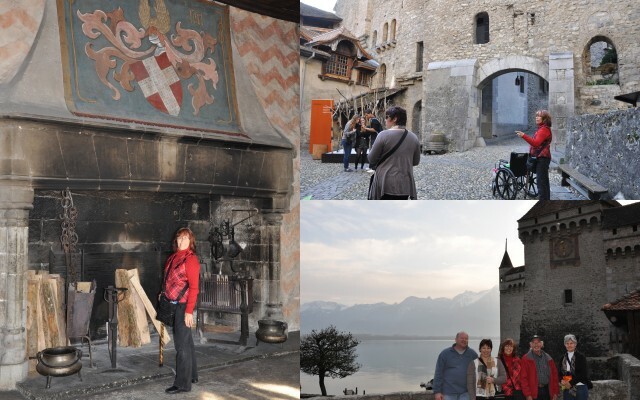 On our second day with the fam, we planned to go to Château Chillon. The group had unanimously voted that a castle should be on the vacation itinerary. However, we realized the day we were leaving that the castle closes earlier in the winter and with a later wake up time with jet-lag, we might not be able to make it on the train as planned. We still yet had to take a bus to the train station, validate Swiss passes, wait for the train, take the hour long train, get to another bus stop, wait for the bus and take the bus to the castle. So, Gabe took off work a little early and drove everyone sans me in Frau Hilda (our car) since they could go directly to the castle. They fit six. Pretty sure that it broke some Swiss highway rules but nonetheless, everyone really enjoyed the excursion. We knew that they would. When we went on our house-hunting trip last year, we really fell in love with the beautiful Château. The place dates back to the Bronze ages. 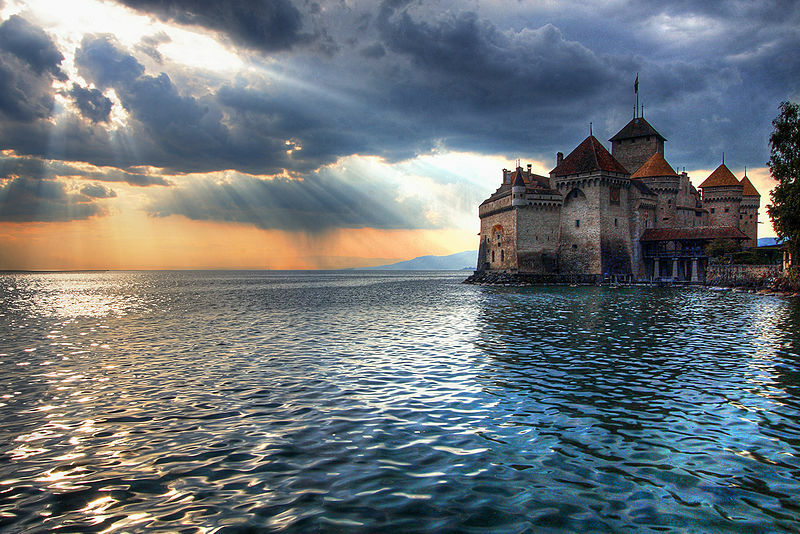 However, the castle itself only has records back to 1150 when it served as a guard point for the House of Savoy for roughly 400 years to control the passing of people along Lake Geneva. After that, it still was a prison and fortress during the Bernese period until the Vaudese Revolution in 1798. The castle inspired many writers and poets. I am so glad that Plan B worked out. Kudos to Gabe and Frau Hilda for getting everyone there safely so they could experience this magical place! 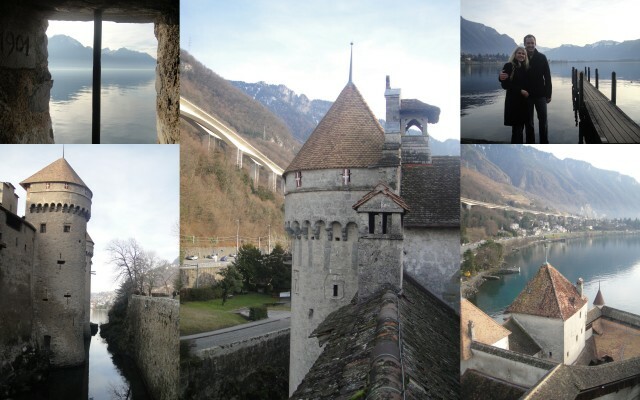 This entry was posted in Daytrips from Geneva, Swiss History & Politics, Visits & Trips with Visitors. Bookmark the permalink.